Today is the summer solstice which means it is OFFICIALLY summer time! Here in the UK it means tonight will be light with the sun staying up until around 11:30pm. It also means there will be loads of people celebrating at Stonehenge. 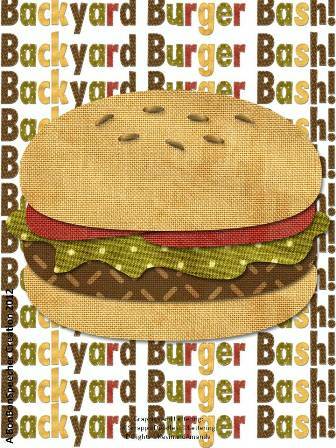 Here at our house though, we'll be having a "Backyard Burger Bash" and I thought I would share this reinforcement game inspired by such get togethers. Students will love building cheeseburgers using the cards in this game. 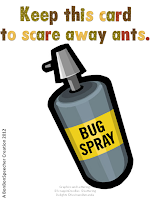 But they'll have to watch out for ants, which will spoil their meals unless they have bug spray to stop them! 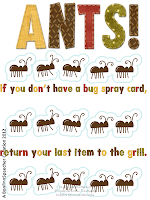 The game includes an introduction card, instructions for gameplay, four plate cards, two cheat cards with ingredients listed, ants and bug spray cards and ingredients cards and a grill playing board. 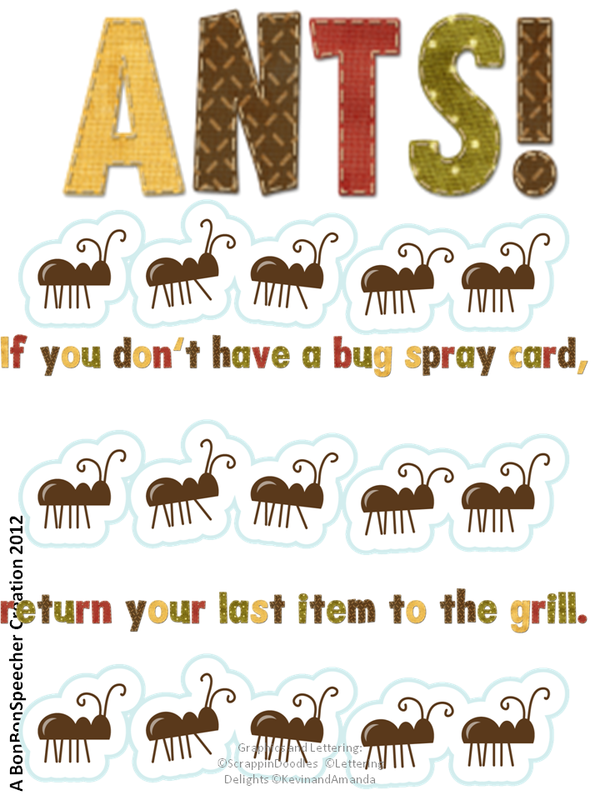 I always laminate and cut out the cards for my students to play with. 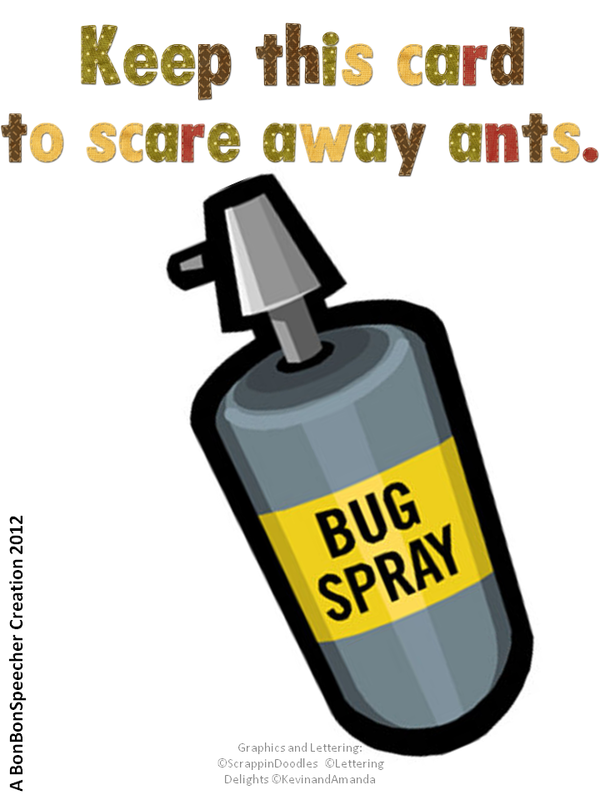 It helps to keep them clean and last longer. 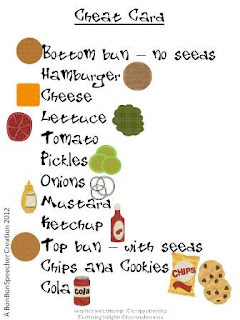 Using the cheat card for reference you can have them create the sandwiches in a specific order to target sequencing skills or have them monitor their own ingredients to assess executive functioning and organization. 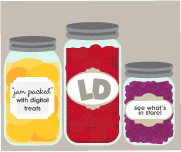 Pragmatic skills are always fun to target using food items as we all have our own opinions about what tastes great and we must use manners when we are around other people. You can teach socially appropriate conversational skills by describing your favorite burger. "I like tomatoes, but I do not care for onions. Would you like to have my serving?" Requesting is also an easy area to incorporate with this game. Have the students ask for specific ingredients to complete their burgers. They can even negotiate with other players to achieve their goals. Articulation students can draw a card from the deck after each talking turn and language students can examine the cover page with the cookout scene and then describe the event using new vocabulary. 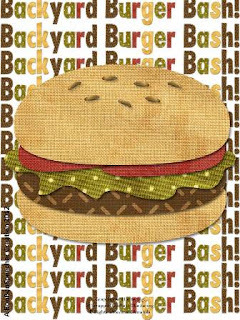 The possibilities are endless, really... just like the fun one can have at a Backyard Burger Bash! Grab your copy here at Teachers Pay Teachers or click the picture below to purchase at Teacher's Notebook.